A classic Mario game comes pre-installed. Amid all the fervor surrounding its recently revealed Nintendo Switch console, Nintendo also made a smaller (yet still exciting) announcement in regards to its 3DS XL: a new lime green variation of the handheld is now available via an exclusivity deal with online retail giant Amazon. There doesn’t seem to be any significance to the lime green color other than that it hasn’t been part of the color offerings for the Nintendo 3DS XL until now. 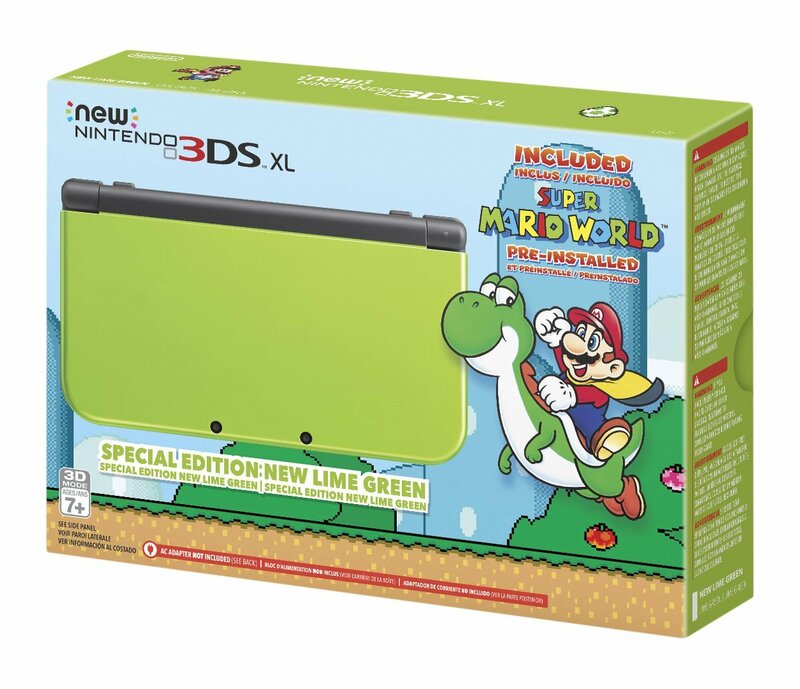 Some have speculated that the choice of color could be a nod to Mario’s lovable dinosaur pal Yoshi, but even in his earliest incarnations Yoshi has tended to sport a shade of green noticeably darker than the bright lime palette of the Amazon-exclusive 3DS XL. However, what is a clear nod to the classic Mario franchise is the fact that all Amazon-exclusive lime green 3DS XL’s come with a Nintendo 3DS eShop copy of the original Super Mario World pre-installed. The Nintendo 3DS eShop version of Super Mario World is part of a selection of Super Nintendo Virtual Console games that can only run on New Nintendo 3DS systems and is available as a standalone eShop purchase for $7.99. If you haven’t made the jump over to the newer line of Nintendo 3DS models yet, the lime green Nintendo 3DS XL can now be purchased exclusively from Amazon for $199.99. For more Nintendo coverage, be sure to check out our discovery of the three unannounced games hidden in the Nintendo Switch reveal trailer.